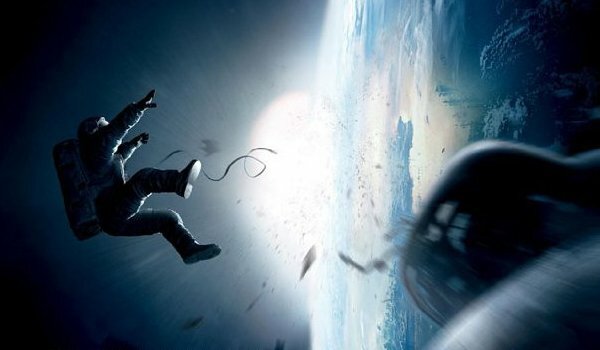 Gravity, the successful science fiction thriller, has remained at its position at the top spot by making an impressive £4,838,152 on its second week on release. The film, that stars Sandra Bullock and George Clooney, revolves around two astronauts who survive the mid-orbit destruction of a Space Shuttle and attempt to return to Earth. Gravity, directed, co-written, co-produced and co-edited by Alfonso Cuarón, has made a worldwide total of $515,579,710 (£320,355,231.76), with £11,076,527 ($17,826,562.55) coming from UK audiences. Universal acclaim has come from critics and audiences, directing the praise towards Emmanuel Lubezki’s cinematography, Steven Price’s musical score, Cuarón’s direction, and Bullock’s performance. Remaining in second place is Thor: The Dark World which has made £1,782,854 in its third week in the UK. The film follows on the story from Thor (2011), where Thor, played by Chris Hemsworth, must embark on his most perilous and personal journey yet, one that will reunite him with Jane Foster, played by Natalie Portman, and force him to sacrifice everything to save us all. Thor: The Dark World has grossed £15,756,831 in the UK. In third position is Philomena, the heartfelt tale of a story, picked up by a political journalist Martin Sixsmith of a woman’s search for her son who was taken from her years before. Philomena met with positive reviews, with Steve Coogan and Judi Dench being praised for their portrayal of Martin Sixsmith and Philomena, and has made a total of £5,768,538 after making £1,006,356 in its third week in the box office charts. New in fourth position is The Counsellor, American thriller directed by Ridley Scott which stars Michael Fassbender, Penélope Cruz, Cameron Diaz, Javier Bardem and Brad Pitt. The film tells the story of a lawyer (Fassbender) who finds himself in over his head when he gets involved in drug trafficking. The Counsellor was received to mixed reviews with Todd McCarthy of The Hollywood Reporter giving the film a negative review stating, ‘one is left with a very bleak ending and an only slightly less depressing sense of the waste of a lot of fine talent both behind and in front of the camera.’ The film made £815,051 in its opening weekend in the UK. In sixth place, Cloudy with a Chance of Meatballs 2 has made £740,029 last weekend, after four weeks in release, making its gross in the UK, £10,873,997. Captain Phillips remains in the box office chart after five weeks, by making £682,571 last weekend. The film, that stars Tom Hanks, is the true story of mariner Captain Richard Phillips, who was taken hostage by Somali pirates in the Indian Ocean during the Maersk Alabama hijacking. Captain Phillips is in seventh place and has made a total of £14,027,191 in the UK alone. Five weeks in the top ten box office charts for 3D animated sports film, Turbo as it brings in £429,116 last week. Turbo is down to eighth place after making a total of £10,140,517. Jackass Presents: Bad Grandpa is in ninth place after making £382,236 last weekend. The film’s plot revolves around 86 year-old Irving Zisman who is ordered to take his 8-year-old grandson to see his father after his mother is jailed. Bad Grandpa has made a total of £5,674,631 in the UK. Lastly in tenth place is, Goliyon Ki Raasleela Ram-Leela, which is a Hindi romantic drama film which made £348,574 in its opening weekend. The film is an adaption of Shakespeare’s Romeo and Juliet, only set in very violent times. Look out for next week: Hunger Games: Catching Fire, Blue is the Warmest Colour, The Family and Vendetta.